City University London has joined the ranks of leading universities who possess research and teaching expertise in microelectronics (integrated circuits). Spearheading this new development in the School of Engineering and Mathematical Sciences is Dr. Iasonas Triantis, who has recently joined the Biomedical Engineering Research Group. Dr Triantis specialises in analogue chip design for bio-interfacing and has undertaken research in the areas of microelectronics for implantable neuroprosthetics and more recently, impedimetric instrumentation. Dr Triantis's considerable expertise will strengthen and further compliment the expanding work carried out in the School. Some of Dr Triantis's recent research activities include the design of an Application-Specific Integrated Circuit (ASIC) for neural signal monitoring, which is aimed at assisting the rehabilitation of patients suffering from spinal cord injuries; he has pioneered research into the use of chemical microsensors for neural monitoring and he has also co-developed advanced neural stimulation methods. Dr Triantis has designed integrated circuits for portable Electrical Impedance Tomography (EIT) systems that can be used for imaging neonatal lung functions, and some types of cancerous tumours. His designs have been realised in BiCMOS and CMOS technologies. Microelectronics is a sub-field of electronics concerned with the design, development, post-processing and testing of transistor-level designs usually fabricated on silicon substrate. Active and passive electronic components as well as highly complicated circuits can be designed to have high levels of accuracy, optimum operation, very good matching, low noise and low power performance with other customized characteristics that are very difficult to achieve using commercial, off-the-shelf, discrete components. 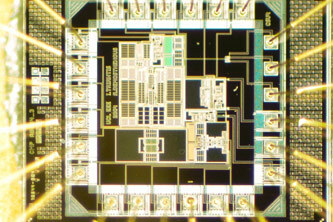 Integrated circuits offer very significant miniaturization, making them ideal for a range of cutting-edge applications. Modern technological achievements would not have been possible without the development of microelectronics; the possibility of carrying out research on fully customised designs is invaluable. 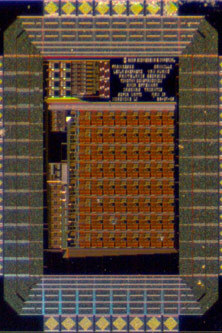 Research in the field of microelectronics offers unique opportunities for state-of-the-art collaborative interdisciplinary projects and Dr Triantis is on course to introduce these into the teaching curriculum as well. "Dr Triantis's educational background and research expertise will compliment and fortify the already successful record of development of our research group in the field of medical sensors and instrumentation. His skills in microelectronics will enable the further miniaturization and optimization of healthcare technologies we have been developing. This will certainly have a positive impact on our endeavours to understand and contribute to the discovery of solutions for current health challenges." From its beginnings as the Northampton Institute in 1894, City has always had a strong presence in engineering technology. The introduction of microelectronics as a research and teaching topic strengthens this tradition and makes a strong statement for the university's increased focus on innovative research.